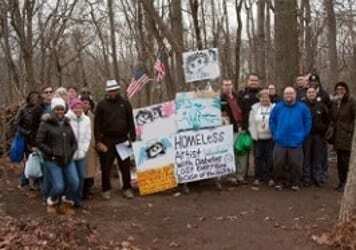 Officers in the Essex Precinct of the Baltimore County Police Department have begun an outreach to the homeless. The outreach program is the idea of Essex Precinct Commander, Captain Andre Davis. Captain Davis was concerned about the welfare of the homeless during the winter months. He also knew that it is not uncommon for officers to get complaints about homeless persons or their encampments. He needed a way to provide the homeless with guidance towards resources and options. The answer was a partnership with local homeless assistance groups and local clergy. At 11 a.m. on Thursday morning, officers from the Essex Precinct Community Outreach Team gathered together along with members​ of Prologue, Healthcare for the Homeless, Veterans Affairs, as well as pastors and congregants from local churches. They traveled to several homeless encampments in the Essex Precinct area and provided the homeless persons that they encountered with some personal supplies as well as options for available shelter and other services. 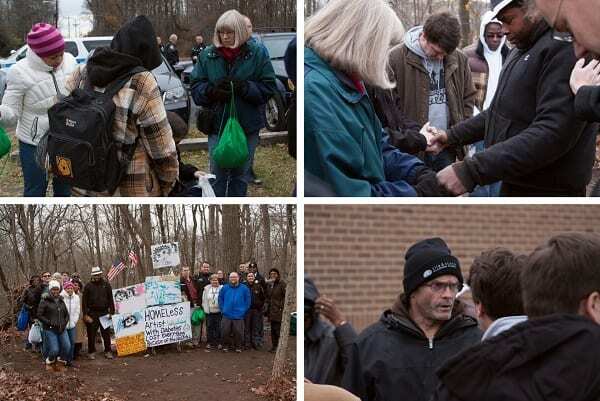 Pastors and church members prayed with the homeless persons. Police had transportation available in case any of the homeless citizens they encountered wanted to go to a shelter. There are several shelters in Baltimore County that offer services beyond just shelter for the night. Police want to guide the homeless toward these shelters and resources. More information is available here. People seeking shelter services for themselves or another person should call 410-853-3000 and select option 2. Thursday is just the beginning, as Captain Davis plans to have more homeless outreach events in the future.